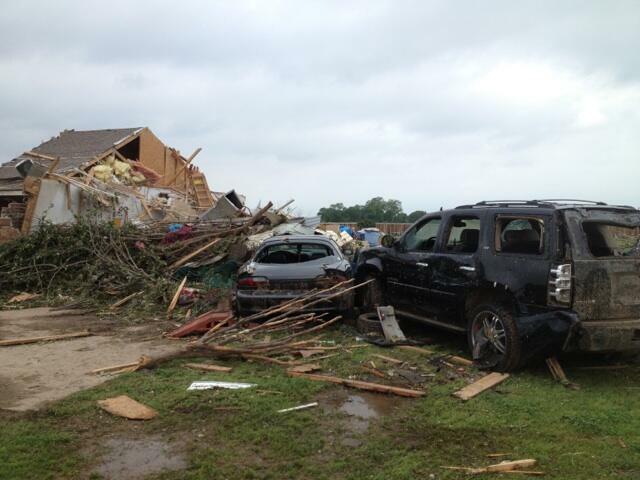 How should the church of Jesus Christ respond when tragedy strikes in our community? John 11 gives us great insight as Jesus responds to the death of Lazarus. Mary fell at the feet of Jesus and cried out to Him in her grief, “Lord, if you had been here, my brother would not have died.” Jesus’ response to Mary and those who shared her grief is worth noting. Jesus was greatly troubled in His Spirit and wept, as He looked at the outpouring of grief. But, Christ did more than grieve with them; He brought the hope of His resurrection. Grieve with those who are hurting. There is always loss in tragedies and disasters. It is right to weep with those who are weeping and to come to those who are hurting. Pray. Tragedies remind us how utterly dependent that we are on God. God is the only one who can truly bring peace, comfort, and hope when our world falls apart. We need to call on Him and seek His presence in the hurt. Give. Your monetary donations are critical and do make a difference in people’s lives. These gifts allow the disaster response to meet specific needs in the best ways, and to get critical help to those reeling from this tragedy. Provide genuine ministry. Those devastated by tragedy need more than empty words, they need someone to come alongside them. Compassionate words and prayer are important, but the church must also seek to provide practical ways to help. Giving meals, providing shelter, forming clean-up or chainsaw teams, putting a tarp on a roof, offering a place for recovery or grief counseling are examples of practical ministry. The best way to be prepared to minister is to be a trained disaster relief volunteer. 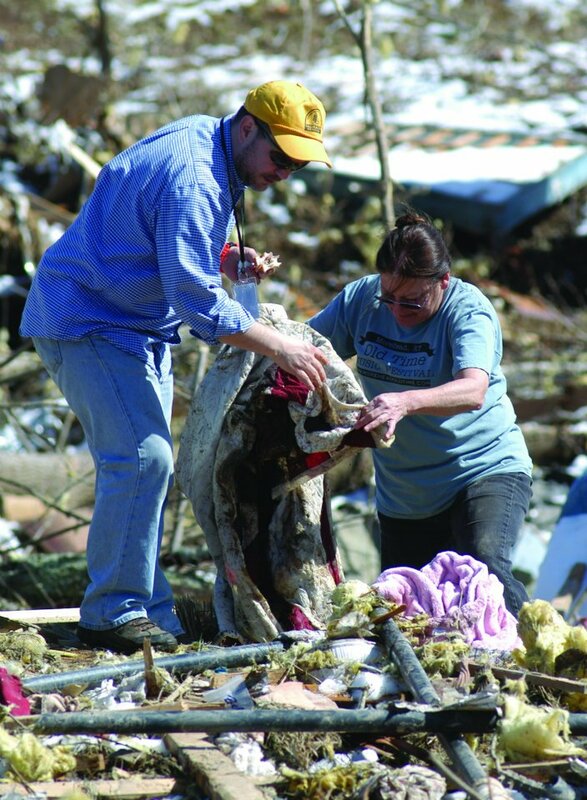 Kentucky Baptist Disaster Relief offers multiple training opportunities throughout the year. Offer Biblical hope. The Bible gives multiple reasons for suffering including the reminder that sometimes it “rains on the just and unjust” in this fallen world. Jesus did not tell Mary “why” this had happened to Lazarus; instead, He offered the great hope of His resurrection. People do not need answers as much as they need the touch of God in their hurt. Listen to those affected by tragedy. Survivors need to share their story with someone who cares. Healing often finds its beginning in compassionate listeners. Be prepared to share about the hope that we have in Christ. We should never seek to use a tragic situation to manipulate someone for selfish purposes, but it is appropriate to offer the hope that we possess in Christ. Jesus is the only One who can bring real peace, hope, and life. Volunteer at the right time. I would urge you as a Believer to wait for the right time to volunteer. Television footage and photos of the tragedy move our hearts and compel us to want to “go now.” It is right as Believers in Christ to be moved to respond and help these in need. Yet, let me warn you of what I see again and again in disasters; in the first few critical days of a disaster response, large numbers of untrained and unsolicited volunteers showing up on the scene can actually slow down responders and siphon off resources, energy, and attention from those who most need our help. Disaster needs will not end in a few days when the TV crews move on to other stories. Often times, where volunteers can be the most help is in the long term recovery and rebuilding phase of a disaster response. When tragedy comes, may our community know the church shares their hurt, weeps beside them, gives real hope, and serves a Savior who brings life-giving power. “Jesus Cares” through CedaRidge Ministries!! On May 4th I was privileged to attend the ribbon cutting and grand opening of the new CedaRidge Ministries facility in Williamsburg, KY. CedaRidge, formed in February 1992, began in the basement of the South Union-Mount Zion Association office and moved to several locations before settling into the 15,000 square foot Bailey Building in 1996, across from what was then Cumberland College. They remained in that location until March 2013 when they moved to the new 50,000 square foot facility. CedaRidge serves nine counties, 400+ churches and organizations, and approximately 1500 families representing 5000 individuals by providing food, clothing, school supplies, household items, furniture, Christmas toys, and spiritual guidance to the poor and homeless in Southeastern Kentucky. They also provide emergency relief to those in need as a result of flood, fire or other calamity. Keith Decker, MSC-funded missionary with the North American Mission Board, and his wife Joyce, direct CedaRidge Ministries along with lots of volunteers. The ministry receives SBC hunger funds, thousands of dollars in donated resources, and lots of volunteer mission teams that assist in this awesome task of reaching their community with the Gospel of Jesus Christ. Keith also serves as pastor of Corn Creek Baptist Church in Woodbine, KY. 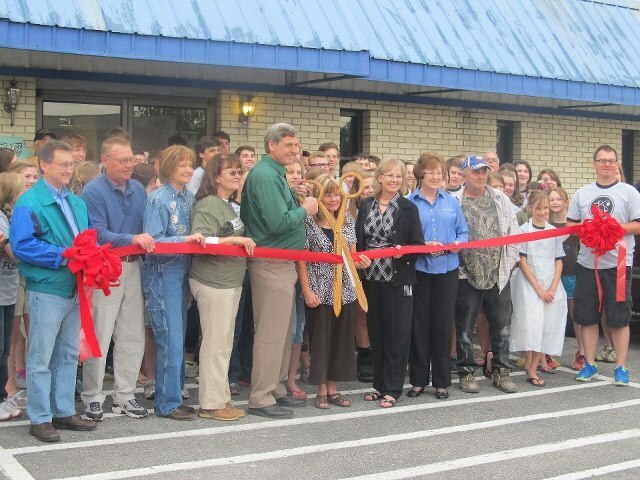 Assisting at the grand opening was Victory Baptist Church from Corbin and Concord First Baptist Church from Knoxville, TN, two of the 75 teams scheduled to serve at CedaRidge in 2013. Approximately 100 youth and adults with the Concord group served snow cones, cotton candy, popcorn, soda, hot dogs and hamburgers for those in attendance. They also had face painting and eight inflatables for the children, had a gospel concert by their 70-member youth choir, and led worship services on Friday and Saturday. During the past 21 years over 100 homes have been built, an average of 5 -6 homes have been remodeled each year, between 250 – 300 minor home repairs have been done each year, and approximately 17 – 18 million pounds of food has been given out. Most importantly, the Gospel of Jesus Christ has been shared with thousands. It would be impossible to calculate, this side of eternity, the number of persons who have come to know the Lord through the outreach of CedaRidge. Last year there were seven professions of faith in Christ reported as a result of this ministry. In 2010, during three weeks of back-to-back Vacation Bible Schools they saw 21 come to know the Lord. It has been nice to take a “look back” but will be more exciting as we “look ahead” to what God has in store as CedaRidge moves into the next twenty years of ministry. Learn more about this ministry at www.cedaridgeminisgtries.org or on their facebook page. You may even want to take a trip to Williamsburg and spend a day or two helping CedaRidge show their community how Jesus cares.